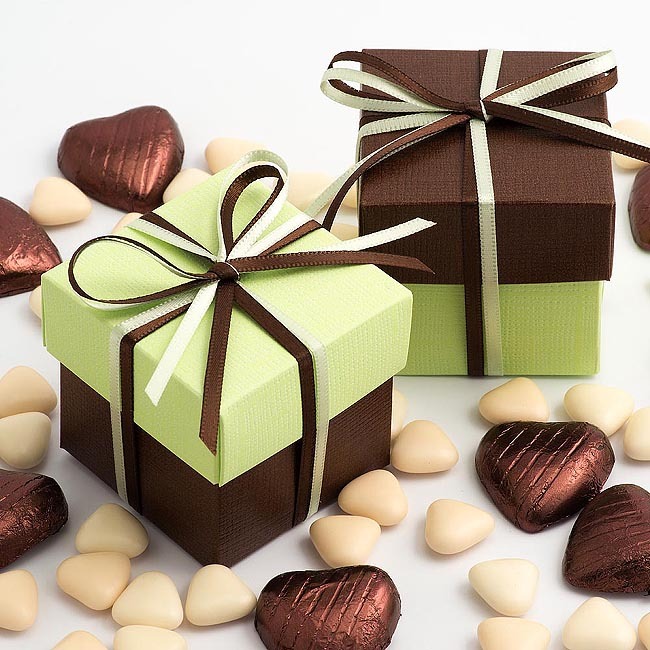 Our new two tone box and lid design favour boxes will add a splash of colour to your wedding table. Here Brown is matched with Light Green. Whether you are looking for classic or modern designs you cannot go wrong with these stylish Box and Lids.